Having worked for an airline for a few years I have been asked the same questions over and over again about flying with children. I was always able to answer these questions easily as I have travelled with my two kiddos loads of times. Often I find that parents are worried for nothing. Most kids are happy flyers. Here are the top questions! 1) Will we be seated together? Often there is the option to preselect your seats at the time of booking for a fee. The fee is nominal and worth it to save stress the day of your flight. 2) What can I bring on the plane to feed my baby? The rules are ever changing in regards to what can be brought through security. Right now the rules are relaxed for formula, purified water for feeding babies during the flight. Of course this could change at any time so it is always best to check with your airline before leaving. For the older kids I always let them pick treats we usually do not buy. As long as there are no liquids, gels or aerosols you can bring it through security. I would forgo the fruit if travelling across any borders. 3) How can I help little ears on take off and landing? Gum for the older kids work great. I also taught them my kids to yawn to relieve pressure. For the littler ones soothers or a bottle will work well too. 4) Can I take my stroller on the plane? Some aircrafts do have closets for such items. You can also gate check your stroller. That means you will have your stroller right up to the door of the plane. The crew will load it bellow. Then your stroller will be awaiting for you upon exiting the plane. 5) Should I bring my car seat on the plane? 6) Does my child need ID? If heading to the US from Canada EVERYONE needs a passport. For travel within Canada no ID for 17 and under are required but it is recommended you travel with ID. 7) What about a DSI or portable DVD player? Those are the top questions I have been asked. If you have a question leave it here and I will answer it for you! 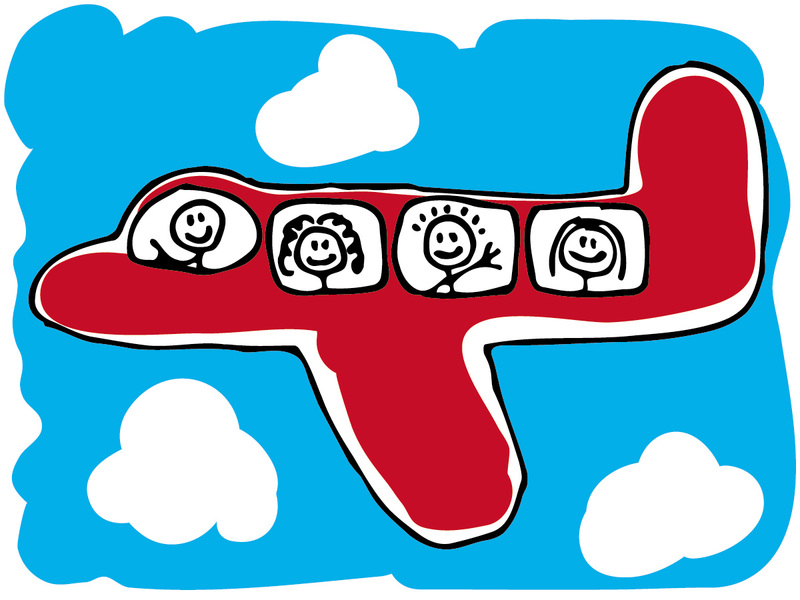 These pointers should help parents who are about to fly for the first time with kids.